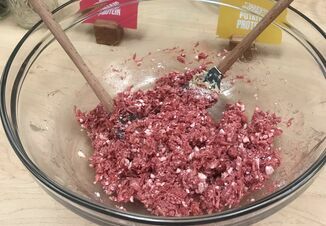 Missouri might be the first state to enact legislation that requires labeling of plant-based and lab-grown meat to be clear when compared to meat from livestock. But why and how did this legislative effort begin? Missouri State Sen. Sandy Crawford said the idea began with conversations with the Missouri Cattlemen’s Association and other aligned agriculture commodity groups and restaurants. She shares the process it takes to get farm legislation moved through the state government in this interview with Jared Wareham, Drovers’ New Generation columnist and manager of Top Dollar Angus. “We wanted to protect our cattlemen in Missouri and protect our beef brand,” Crawford said. With a growing number of companies creating meat in a laboratory or selling products that aren’t beef, she said they started looking for ways to protect the integrity of the meat production chain in Missouri. Meat currently has definition in the statute and that hasn’t changed, Crawford said. What they “added teeth to” was the portions that talked about how products are labeled—“you can’t misrepresent products that don’t meet the definition of meat that is already in the statute,” she says. Five other states are looking to model similar legislation off the Missouri bill.